Bank Efficiency, Corporate Governance, Data Envelopment Analysis, Panel Data, Turkey. ADNAN, Akhyar M., Htay, S. Nu Nu, Rashid, H. M. A. and Meera, A. K.
Finance and Economics, Vol. 1, No.1, 2011 pp. 1-15. ISNAD SOBA, Mustafa , EREM, Işıl , CEYLAN, Fatih . "THE IMPACT OF CORPORATE GOVERNANCE PRACTICES ON BANK EFFICIENCY: A CASE OF TURKEY". 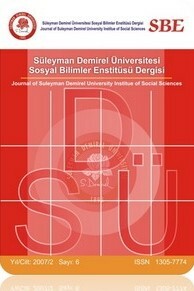 Süleyman Demirel Üniversitesi Sosyal Bilimler Enstitüsü Dergisi / 25 (December 2016): 305-322.